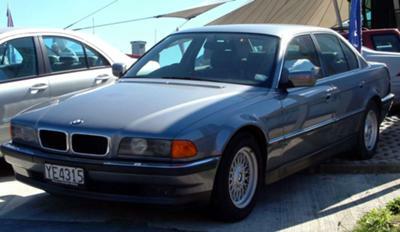 Hi, I own a beautiful 1996 740i Beamer that because of the now absurd fuel prices in New Zealand is as good as worthless. Rather than selling it for next to nothing, I was wondering if it would be practical to convert it to electricity and build a customised lithium battery pack as the Tesla EP-2 guys did. Could you please suggest a motor that would give me similar performance to the original quad cam V8 now installed? And, is what I am considering doing actually realistic? The car is loaded with extras such heated, electric powered seats, TV, ABS, electronic traction programming. Some of this stuff is powered directly from the engine which may be a problem, this includes power steering, climate control pump, alternator, power assisted brakes etc. I would be grateful for any advice you could give me. First, I've recently seen a conversion with the performance you're looking for; it has a 3-phase AC drive system, 300 volts. Second, you don't need to customize a special battery setup, as you can get LiFePO4 batteries fairly easily online, battery management and all. Third, the power steering and such can be used still, using a vacuum pump of some kind. They sell a kit for this, and the rest of the essential gizmos, up at Canadian Electric Vehicles, probably other places too. P.S. Reflecting on this a little more...the question is, how much do you love your car? And how much money are you willing to invest in it? It sounds like you love your BMW a lot. So here's a new possibility: What if you took 2 AC motors and twinned them together, then put a load of LiFePO4 EV batteries onboard? Brian Seymour from HPEVS says you can twin his AC-50 motors, and as long as you could find a place to put them, it seems like it would work.